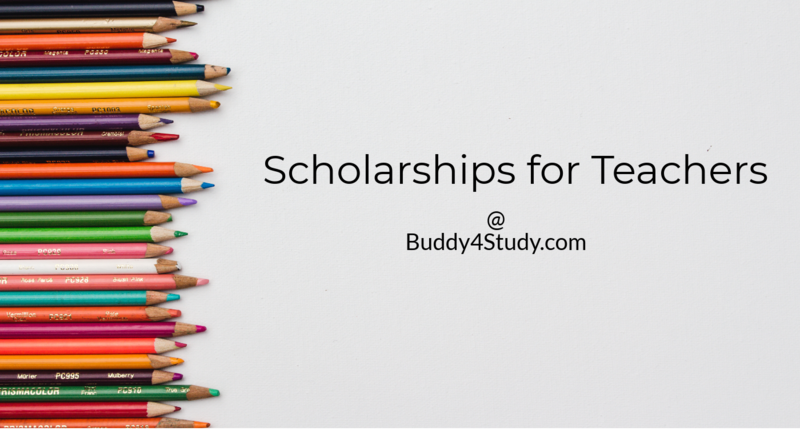 Top scholarships for teachers - Find Eligibility, Deadline and details here. The significance and value of a teacher in our society can hardly be overstated. No other profession has as far reaching an influence on the society as a whole. It is the teacher who guides and moulds a student into a lawyer, doctor, engineer, or business leader, and a society that doesn’t respect its teachers is doomed to fail. In the abundance of student scholarships there feels a pressing need of Scholarships for Teachers, as well. Established by the US Department of State and International Research and Exchanges Board, the Fulbright Teaching Excellence and Achievement Program is a six-week non-degree, non-credit fellowship program at a US University, with an objective to provide a professional development opportunity to teachers. Indian teachers with a 5-year experience in teaching Social Studies, Science, English, Math, Special Education, or English as a Foreign Language, to students from standard 6th to 12th, and a minimum TOEFL score of 61, are eligible to apply. The scholarship for teachers covers the entire program fee, airfare, accommodation, visa and insurance fees, and a professional development allowance, among other benefits. This program is for Indian college and university administrators with at least 2-year experience in international education. The seminar provides an opportunity to these administrators to familiarize themselves with US higher education. Airfare, travel, and lodging are covered for all awardees under the scholarship. Full-time teachers with five years of teaching experience in any subject are eligible for the Fulbright Distinguished Awards in Teaching Program that seeks to provide a professional development opportunity to teachers. A bachelor’s degree, a teacher training degree, and an excellent command over the English language are pre-requisites to be considered for the awards. Instituted by Government of India’s Ministry of Human Resource Development, National ICT Scholarship awards are open to all teachers working in schools from all over India. A total of 87 awards have been instituted to felicitate those teachers who have contributed to enhancing student learning by effectively and innovatively integrating technology-supported learning into the school curriculum and subject teaching, and thereby promote enquiry-based cooperative and collaborative learning using ICT. The winning entries receive an ICT kit, a laptop, and a letter of commendation, as scholarship for teachers. The International Leaders in Education Program Fellowship is a 6-month long non-degree, non-credit academic program at a US university. The main purpose of this scholarship for teachers program is to bring outstanding teachers to the US to develop expertise in their subject areas, enhance their teaching skills and increase their knowledge about the United States. The academic program gives participants an opportunity to work in groups to develop a unique teacher professional development module.